"Your Next Great Stock makes a clear and persuasive case for a systematic investment strategy. Though simply written, both amateurs and professionals can profit greatly from the wisdom revealed in its pages." "Jack Hough has written a thoughtful and disciplined book about picking stocks. In an age where most people look for the quick buck, his commonsense approach will outlive bull and bear markets alike." With thousands of stocks to choose from, how can you find the best ones to invest in? Simple: start with a handful of clues that tend to predict outstanding returns, and then search the entire market in seconds for stocks that are producing those clues. That′s stock screening, and it′s the best way the only way, really to consistently beat the market. 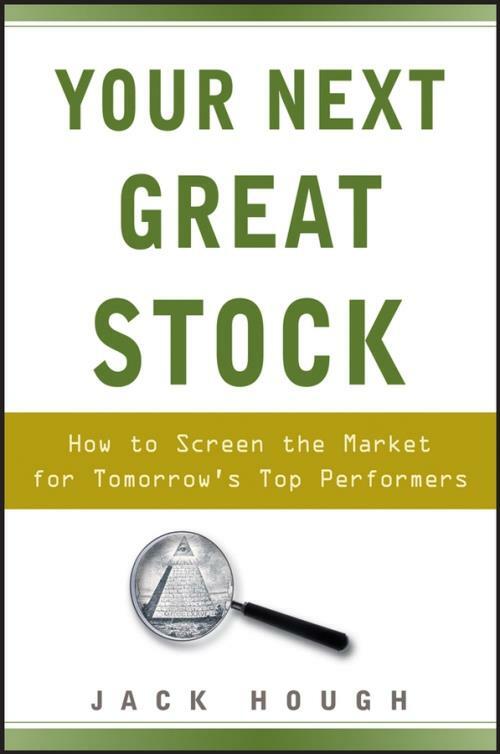 Written by experienced investment journalist Jack Hough, Your Next Great Stock reveals the most powerful screen strategies ever produced. The strategies are easy to follow. If you have Internet access and can balance a checkbook, you can find winning stocks with this book as your guide. You′ll learn how to find young companies poised for explosive growth, mature companies whose true profit potential is temporarily hidden, and more. Stop relying on overrated stock tips. Start using proven screening strategies to find your next great stock.